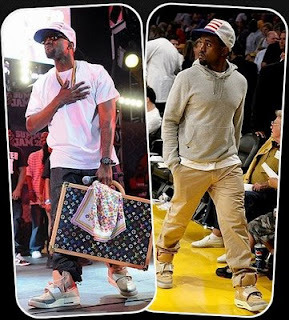 However, now Yeezy also refers to Kanye's shoes. 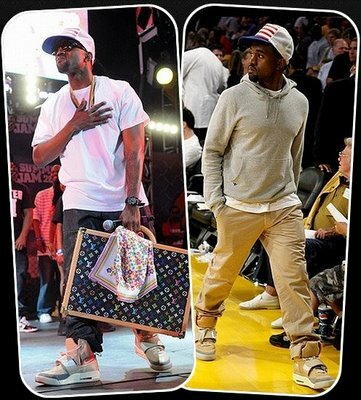 "Air Yeezy is a brand of sneakers/trainers produced by Nike which were designed for and endorsed by the rapper Kanye West. 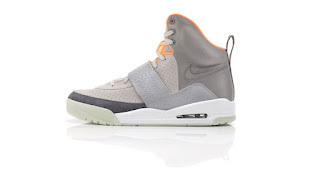 "The Air Yeezy sneakers were developed from a strong relationship between West and Nike. Partnering with Nike Creative Director, Mark Smith, Kanye was taken through the product creation process, the same way athletes have with Nike Design for the past 37 years. This creative partnership of Smith and West’s talents as designers yielded a unique Nike Sportswear sneaker worth the wait or was it?" "The shoe, which takes West’s nickname Yeezy, draws upon the innovations from Nike’s rich sporting history and fuses them with original lines, materials, and design elements that reflect West’s unique style." Do you own or want a pair of these shoes? I haven't heard of them either. Never hear of them until now. I should think they'd support my feet nicely as I trundle up the hill behind my walker. ;-) I put comfort first, but these might be too expensive for a pensioner.